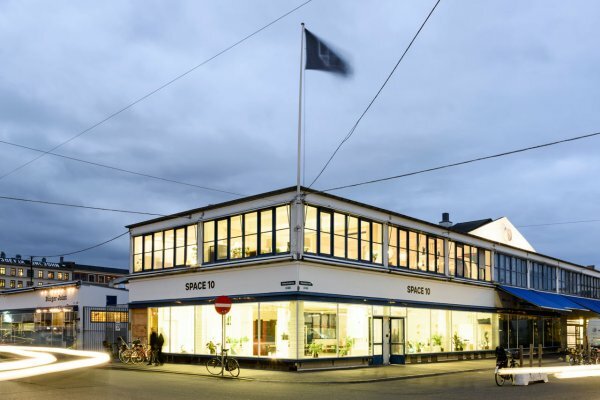 Swedish retail giant, Ikea, has set up Space10, a future-living lab in the heart of Copenhagen. Their mission is to assess the future of urban living and the challenges this creates, then to explore solutions for a smarter and more sustainable way of living via a series of labs involving workshops, pitch nights, design residencies, exhibitions and collaborative projects. Space10 isn’t a part of Ikea, it is owned and facilitated by Danish design firm, Rebel Agency, who first worked with Ikea on the Brakig furniture collection, which went on to be one of Ikea’s best-selling ranges. The idea for the future-living lab came about when the founders of Rebel Agency, Carla Cammilla Hjort and Simon Caspersen, were asked to pitch new ideas to Ikea. Space10 opened it’s doors in November 2015 and for a company used to innovating in secret, Space10 is revolutionary step forward for Ikea. Although the costs of the operation are covered by Ikea and they have the first look at all the concepts that come out of it, the day-to-day operations are handled by Rebel Agency. However, for Ikea, the benefits are the bold new ideas that come their way and the opportunity to bring them to market first. The first exhibition at Space10 is called “The Fresh Living Lab” and showcases the work of a group of emerging designers who were invited to create 6 prototypes of everyday objects that would encourage better choices for the environment or personal health. Among the designs is a table that charges your phone by turning heat into electricity, and a chair that rewards you for exercising.